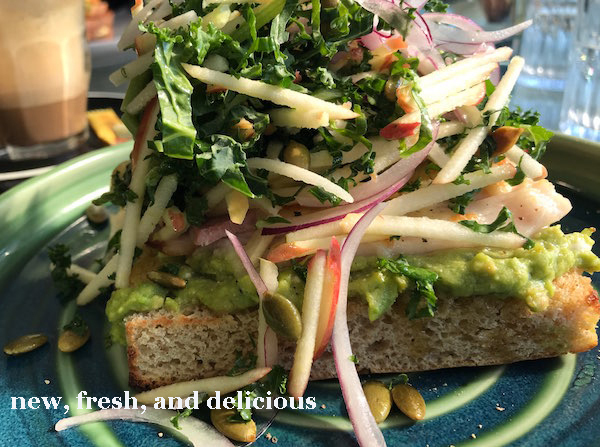 After much anticipation, Fawk Foods Kitchen & Bakery opened its doors early this month so of course, we had to sample the menu to spread the word to our guests looking for a delicious breakfast or lunch option that doesn't come with the fine dining price tag. The cafe has a focus on locally sourced products, including local bacon and ham, free range eggs and Fawk Foods' own black garlic range which features in many of the menu items. We sampled the Ham & Avocado Melt, a delicious light open melt topped with a pink lady and kale salad, Ham & Aged Cheddar Toastie, rich and oozy, but balanced with the tang of pickles and the Benedict featuring the famous black garlic in the hollandaise. All dishes were delicious and satisfying, the coffee great and the service fast, friendly and efficient. There is also a great takeaway menu if you're on the go (between wine tastings!) and you can even buy fresh sourdough loaves to take home with you. A must try next time you're visiting Pokolbin, just pop in to Pokolbin Village on Broke Road and there they are!